From his corner office in Wilshire Connection’s Los Angeles headquarters, Glenn Nieves can see the tiny apartment complex in which he was raised. It’s only 10 minutes from the attorney’s office building, but it seems like a world away. 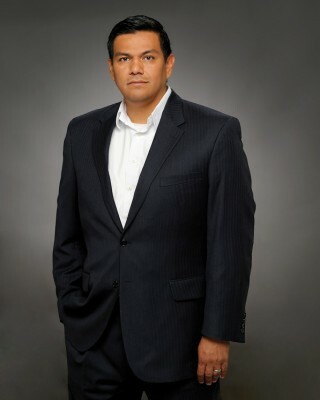 Nieves is general counsel, vice president of government affairs, and secretary for Wilshire Connection (Wilcon), the largest privately held fiber optic network provider in Southern California. He previously served as an advisory board member for the Hispanic Scholarship Fund and created an internship program at Wilcon that aims to draw minority youth. “I wouldn’t change my upbringing for the world,” Nieves asserts. Though he didn’t come from a background in which the path to college and law school was expected of him, his eyes were opened to the possibility. His mother immigrated to California from Nicaragua, and his father came from Puerto Rico. Nieves was raised in the Pico-Union District in Los Angeles, one of the most impoverished and overcrowded neighborhoods in the city. His father was a meat packer with a sixth grade education, and his mother who had a high school education worked as a cashier. Both impressed upon him the value of education. It clicked for Nieves during his junior year of high school, when his English literature teacher assigned Ralph Ellison’s Invisible Man. At the time, he was trying to figure out what career path he might take, and the book’s themes of identity, transcending race, ambition, and overcoming perceptions resonated with the teenager. His time as a teacher was the first opportunity Nieves, who had attended a parochial school, had to observe the public school system. He quickly developed an insider’s view on what needed to change. The Supreme Court recently upheld Michigan’s ban on affirmative action that bars universities from considering race as a factor in admissions to universities. This decision that could open the door to other states to ban affirmative action, and Nieves sees the landscape changing. In response, he feels the need to improve diversity in his own office. Nieves insists that individuals of every color, race, and origin must act as mentors to the next generation and create the future they envision. Nothing ends with you, he says; impact can always stretch further.